Tong is very well known for his action movies. Working closely with Jackie Chan, Stanley directed some very popular movies in the 1990s. Their first collaboration, Police Story 3: Super Cop (警察故事3：超级警察) (1992), broke box office records in many Asian countries and received a nomination for Best Film at the Golden Horse Awards. Tong's other movies with Jackie Chan, such as Rumble in the Bronx(红番区)(1995) and Police Story 4: First Strike(警察故事4：简单任务) (1996), also created significant box office records, the latter grossing HK$57,518,795, the highest box office return for a local film in Hong Kong until 2001. Also, the release of Rumble in the Bronx in the United States helped Jackie Chan make a name for himself in Hollywood. Tong customarily attempts stunts himself before asking actors to risk themselves, e.g., Jackie Chan's leap from a parking garage roof to a fire escape in Rumble in the Bronx and the finale of The Stone Age Warriors. During his stay in Hollywood, Tong also filmed Mr. Magoo (1997), which was a critical and commercial failure, and Martial Law (1998), which was a moderate ratings success. In 2000, Tong returned to Shanghai, in hopes to inspire the future generation of filmmakers in China. After his long presence away from home, Tong directed his first film in his homeland, China Strike Force (雷霆战警). In 2005, Tong wrote and directed the film The Myth (神话). In the same year, Tong also wrote and directed Asia's first computer-animated film, Dragon Blood. In recent years, Tong has produced a number of films, including the films The Myth (2010) and CZ12 (十二生肖)(2012), as well as the TV series Fall in Love with You (偏偏爱上你)(2012) and The Patriot Yue Fei (精忠岳飞)(2013). Apart from filmmaking, Tong has been active with charity work both in USA and China. He also works as a guest lecturer in China to help cultivate the nation's future filmmakers. In 2001, Tong formed his own production company, China International Media Group Ltd. Many of his films are partly financed by the company. In addition, the company has invested in a stunt performers’ training program. Both local and foreign lecturers who are well known in the industry have been invited to give lessons for the program, and the best students receive opportunities to play in films invested by Tong’s company. In 2012, Tong was invited by The 15th Shanghai International Film Festival's SIFFORUM as a guest speaker. At the forum titled "Far East Dream Factory - Future for Chinese Film Industry Upgrading," Tong shared his views with other panelists in the industry. In 2011, Tong took the role of Honored Consultant for the Film and TV Association of China Public Security Ministry. The Association is established to produce films and TV series featuring crime stories. 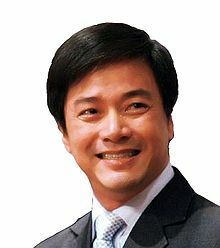 In 2008, Tong appeared as a guest judge on the China Beijing TV Station reality television series The Disciple, which aired in Mainland China and was produced by, and features, Jackie Chan. The purpose of the program was to find a new star, skilled in acting and martial arts, to become Chan's "successor", the champion being awarded the lead role in a film. It concluded on June 7, 2008, with the series winner being announced in Beijing. ^ "Chinese actor buys rights to 'City Hunter'". China Daily. 2016-10-13. ^ "北条司作品 漫画『シティーハンター』中国で実写映画化へ". Hojo Tsukasa official website. 2016-10-11. Retrieved 2018-03-18. ^ "Jackie Chan on the Reasons Behind Producing The Disciple". Wu-Jing.org. Archived from the original on 2008-10-10. Retrieved 2008-05-08. This page was last edited on 1 February 2019, at 20:29 (UTC).